HMS Diamond was an 18pdr armed, 38 gun, fifth-rate frigate of the Artois Class, built under contract for the Royal Navy by William Barnard at his Deptford shipyard, then in the County of Kent on the south bank of the River Thames. The Artois Class was a group of nine large sailing frigates designed by Sir John Henslow, Co-Surveyor of the Navy, of which four were built in Kent shipyards. Their design was optimised for rapid construction and this was evidenced by their quick building-times. They were not designed for longevity and they all had relatively short service careers. In an attempt to further reduce building time, one of the class, HMS Clyde, was built from pitch pine instead of oak; one of two ships of the class built at the Chatham Royal Dockyard. HMS Diamond was ordered from William Barnard on 28th March 1793, just a little under two months after France declared war on Britain, starting the French Revolutionary War. Her first keel section was laid down in April 1793 and the ship was launched into the River Thames, her hull complete, on 17th March 1794. On completion, HMS Diamond was a ship of 995 tons. She was 146ft long on her gundeck and 121ft 6in long at the keel. She wa s39ft 3in wide across her beams and her hold, between the orlop and the bottom of the ship was 13ft 9in deep. The ship drew 10ft 7in of water at the bow and 15ft 8in at her rudder. HMS Diamond was powerfully armed, being fitted with 28 18pdr long guns on her gundeck, with 2 9pdr long guns and 12 32pdr carronades on her quarterdeck and 2 9pdr long guns and 2 32pdr carronades on her forecastle. In addition to these, she carried a dozen half-pounder swivel guns attached to her upper deck handrails and in her fighting tops. Although officially rated as 38-gun ships, Artois Class frigates like HMS Diamond actually carried 46 guns. She was manned by a crew of 270 officers, men, Royal Marines and boys. After her launch, the ship was taken to the Royal Dockyard at Deptford to be fitted with her guns, masts and miles of rigging. HMS Diamond commissioned into the Channel Fleet under Captain William Sidney Smith on Monday 9th June 1794. Construction at Barnards Yard had cost £13,676, while fitting out at Deptford Royal Dockyard cost a further £8,492. Captain Smith, in common with many naval officers of his generation, had cut his teeth during the American War of Independence and had first held a command during that war. Also like many of his counterparts, he had found himself laid off on half-pay 'on the beach' when that war ended. HMS Diamond was Captain Smith's first command appointment since he had paid off the 9pdr armed 28 gun sixth rate frigate HMS Alcmene at the end of the American War ten years earlier. By August, HMS Diamond was part of a squadron commanded by Captain Sir John Borlase Warren in the 18pdr armed 36 gun frigate HMS Flora. The squadron was operating out of Falmouth and had been tasked with shutting down French shipping in the Bay of Biscay. In addition to HMS Flora and HMS Diamond, the squadron also comprised the 18pdr armed 38 gun frigate HMS Arethusa under Captain Sir Edward Pellew, HMS Diamond's sister-ships HMS Diana and HMS Artois, commanded by Captains Jonathan Faulknor and Edmund Nagle respectively and the ex-Spanish 18pdr armed 36 gun frigate HMS Santa Margarita, commanded by Captain Eliab Harvey. The captains of each ship have been mentioned individually here because they were all rising stars in the Royal Navy at the time and all went on to become famous in their own right as the war went on. On 7th August 1794, Captain Warren led the squadron to sea in search of cruising French frigates and on 23rd at 04:00, off the Penmarks, they found one. The 12 pdr armed 36 gun French frigate Volontaire had been cruising the English Channel looking for targets. After a 12 hour chase, the Volontaire was cornered by HMS Diamond, HMS Artois, HMS Diana and HMS Santa Margarita, was engaged and driven onto the rocks, where she was left to her fate. By October, HMS Santa Margarita had been replaced in the squadron by the 18pdr armed 32 gun frigate HMS Galatea, commanded by another legendary name, Captain Richard Goodwin Keats. On 21st, while cruising together some 30 miles west of Ushant, HMS Diamond, HMS Diana, HMS Arethusa and HMS Galatea discovered the 18pdr armed 40 gun French frigate Revolutionnaire. Chase was immediately given and very soon, HMS Artois brought the Revolutionnaire to action. After a fight lasting about 40 minutes, HMS Diamond manoeuvred across the stern of the French ship and fired in one or two shots. With this and the appearance of the rest of the British frigates and cut off from the shore, the Revolutionnaire struck her colours in surrender. The Revolutionnaire was one of the finest and most powerful frigates built by the French and she was taken into the Royal Navy under her French name. For his role in the capture, HMS Artois' commander, Captain Nagle was knighted. 1794 soon became 1795 and on 2nd January, HMS Arethusa, HMS Flora and HMS Diamond departed Falmouth to investigate rumours that the French Brest fleet had evaded the blockade and had put to sea. On the 3rd, the squadron arrived off Brest and Captain Smith was ordered to close with the shore and have a look. With the wind coming from the east, HMS Diamond began to beat towards the entrance to the harbour. At 2pm, they spotted three French warships also making their way towards the harbour entrance. At 5pm, in order to be ready for the next tide, HMS Diamond anchored and sighted a large ship laying about two miles away. At 11pm, Captain Smith's ship weighed anchor and continued her approach to the harbour. At 2am the following morning, the ship which had been laying near HMS Diamond was seen to be a French ship of the line. At 2:30am, she passed close to a French frigate laying at anchor. Daybreak at around 7am brought sight of two ships coming out of the harbour, 15 ships laying at anchor in Camaret Bay and a large ship without her fore and mizzen masts laying apparently aground on Petit-Menou Point. The large ship aground was identified as the 120 gun first rate ship Republicain, which had run hard aground and which the French were apparently trying to salvage. At 7:40am, not having sighted any French ships in the harbour at Brest, HMS Diamond bore up and made to leave. No sooner had she done so, then the Chateau de Bartheaume began making signals, at which point HMS Diamond hoisted French colours. At 08:10, a French corvette which had been making her way along the coast also began to signal and sailed under cover of the shore battery at the castle. Captain Smith ordered that the ship continue as before and soon, HMS Diamond passed within hailing distance of an apparently damaged French 74 gun ship. Captain Smith, who fortunately could speak fluent French, asked the French captain if he required assistance. The French captain replied that he didn't need any assistance, that the ship's name was 'Nestor' and that she had been dismasted in a a gale and had parted company with the rest of the fleet some three days earlier. Having totally deceived the French, HMS Diamond crowded on all sail and made to rejoin her squadron. By 10:30, HMS Diamond had got clear away after having sailed directly into the heart of a heavily defended French naval base and back out again without firing a shot or even alerting the French to the fact that the frigate brazenly sailing around inside their base was actually an enemy warship. By the early summer of 1795, HMS Diamond had been redeployed within the Channel Fleet and in May, was part of a squadron commanded by Captain Sir Richard Strachan in the 18pdr armed 36 gun frigate HMS Melampus, based in the Channel Islands. Also in the squadron were the ex-French 18pdr armed 38 gun frigate HMS Hebe, and the 12pdr armed 32 gun frigates HMS Syren and HMS Niger (see here for the story of HMS Niger: http://www.kenthistoryforum.co.uk/index.php?topic=18266. At about 03:00 on 9th May, the squadron was lying at anchor in Gourville Bay, Jersey, when a 13-strong enemy convoy was sighted making its way along the French coast. All hell must have broken loose in the ships of the squadron when on being woken and told the news, Captain Strachan gave orders that the whole squadron should immediately weigh anchor and give chase, at three in the morning. The 270-strong crew of the ship must have wondered what on earth was going on when they were turfed out of their hammocks and cots amongst all the yelling and shouting, beating of drums and twittering of pipes in the middle of the night. By 6am, HMS Melampus had closed the range sufficiently to fire on the enemy, but they escaped around Cape Carteret and ran for the shore under the protection of two gun-vessels, the Eclair and the Crache-Feu as well as a small battery ashore on the beach. Captain Strachen decided on a boat attack and all the squadron's boats assembled at HMS Melampus before heading for the enemy under covering fire from the frigates. After a brief exchange of fire, the French abandoned their vessels and the British took possession of the entire convoy as well as the escorting gun-vessels. The vessels were found to be carrying cargoes of naval stores including cannons, gunpowder and timber. In this action, HMS Diamond had two seamen wounded. In July 1795, HMS Diamond took possession of the islands of St. Marcouf. These two islands, each no more than 200 yards long and 120 yards wide, are located in the mouth of the river Isigny on the Normandy coast, about 4 miles off-shore. Captain Smith left them garrisoned with about 500 men and several guns. The islands give an unobstracted view of the French coast and gave the British the means to intercept communication between Le Havre and Cherbourg. On 9th March 1796, the hired armed cutter Liberty, of 6 guns and the hired armed lugger Aristocrat, of 12 guns, chased an enemy convoy into the port of Herqui, on the northern coast of Brittany. Escorted by a single corvette (the French equivalent of a sloop-of-war), the convoy comprised four brigs, two luggers and two sloops. The entrance to the port was guarded by two shore batteries, one on each side, both mounting 24pdr guns. Shortly after this, HMS Diamond arrived on the scene and immediately blockaded the port. Captain Smith decided that a raid would be launched and to this end, the approaches to the port being poorly charted, ordered that the ships boats sound the approaches to the harbour. At noon on 18th March, the three vessels stood in for the port. The commanders of the Liberty and the Aristocrat, Lieutenant M'Kinley and Lieutenant Gossett respectively had to volunteer, for the mission as, being employed directly by the Governor of Jersey, Commodore Phillippe d'Auvergne, Prince de Bouillon, Captain Smith had no right to issue orders to them. One of the shore batteries, mounting a single gun, was quickly silenced by fire from HMS Diamond, but the other one, with three guns, posed a problem. Captain Smith sent a shore party under his First Lieutenant, Lieutenant Horace Pine and Lieutenant Edmund Carter of the Royal Marines. On seeing the British raiding party approaching in boats, the French garrison of the battery descended to the beach and drove them off under intense small-arms fire. The British regrouped, landed elsewhere, scaled the cliffs below the battery and destroyed the guns before the French garrison could stop them. The landing party suffered a casualty when Lieutenant Carter was mortally wounded. With the batteries silenced, the British continued with the raid, which ended up with all but one of the enemy vessels burned. At 22:00, wind and tide in their favour, the British left. In addition to the death of Lieutenant Carter of the Royal Marines, there were additional casualties in the raid of two seamen killed and Lieutenant Pine wounded. On 17th April 1796, HMS Diamond was operating alone when she came to anchor outside the prot of Havre, in the mouth of the River Seine. Inside the port, they had sighted the French privateer lugger Vengeur of 10 guns and 45 men. The Vengeur up to then was a very successful privateer and had outsailed a number of British warships which had been sent to capture or destroy her. Captain Sir William Sidney Smith, never one to miss an opportunity to cover himself in glory, had decided that he would cut out the Frenchman. 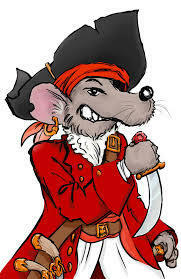 Captain Smith decided to lead the raid on person because his ship was critically short-handed. Normally, a captain would not risk himself leading a dangerous raid in person, but on this occasion, he had no alternative. His First Lieutenant had been sent to the UK with his dispatches and had not yet returned. His Second Lieutenant and Third Lieutenants were sick and were confined to their quarters on the orders of the Surgeon and the Fourth Lieutenant, a Midshipman acting in the role, was too inexperienced to lead a raid of the size required. The only other officer, the most senior of the ships Warrant Officers, her Sailing Master, was required aboard the ship. The raid was prepared. HMS Diamond's Launch, her largest boat, had been fitted with one of the ships 32pdr carronades. All the ships boats were to be used in the raid and Captain Smith's raiding party consisted of 52 men in total. The party departed HMS Diamond at 22:00. On arriving in within sight of their target, the boats paused and Captain SMith issued his final briefing and orders. The boats were to take a broad sweeping turn between the Vengeur and the shore, in order to look like local fishing vessels and not to raise the alarm. This plan succeeded until they were within half a pistol shot (about ten yards) of their target, when the French lookouts realised what was going on and opened fire with small-arms. The British returned fire, boarded the Vengeur and within ten minutes were in control of the vessel and had not suffered a single casualty. During the very brief struggle, the enemy crew cut their anchor cable and the vessel was by now being driven by the rising tide, up the river towards the shore. After unsuccessfully searching for anchor heavy enough to hold the vessel against the current, the British raiding party set every sail and attempted to tow the vessel downstream against the very fast current with their boats. This was in vain as the current was too strong. Eventually, a small anchor was tried and after dragging it for some distance, the Vengeur eventually came to a stop off Harfleur, on the northern shore of the Seine. Smith now decided to abandon the raid and that they should return to their ship, but a number of enemy vessels were seen coming out of Havre with the obvious intention of recapturing the Vengeur. Smith realised that they were now in serious trouble. Deep in enemy territory, with their own ship several miles away and not in any position to assist without putting herself in mortal danger, they had to decide to either fight or surrender there and then. Smith, not being the surrendering kind, decided to fight. The Vengeur was not carrying any grape shot for her 4pdr guns and the slow-matches for those guns were in such poor condition that they could only fire the guns with difficulty. By contrast, guns on British ships by this time were fired with flintlocks rather than slow-matches. The Vengeur was beginning to be hit by small-arms fire from the shore and a large armed lugger was on it's way to attack the vessel. Hoping that the wind would get up and allow the Vengeur to simply sail off at slack water, Smith and his men beat off the other enemy vessel at a cost of several men wounded. The Vengeur became surrounded by boats filled with French troops and despite a furious firefight with muskets which saw four of his men killed and seven wounded, Smith was forced to surrender. Taken prisoner by the French, Smith and his men were landed at Havre and then marched to Rouen. Captain Smith and Mr Midshipman John Wright, as the most senior British officers, were then taken to Paris, where they were eventually imprisoned in the Temple Prison. As a post-script to this part of the story, on 4th May 1798, a small group of British warships consisting of the 44 gun two-decker HMS Argo, the 18pdr armed 38 gun frigate HMS Arethusa and the aforementioned HMS Niger were patrolling off the mouth of the River Seine when a fishing boat pulled up alongside HMS Argo. It was found to contain Captain Sir William Sidney Smith, the now-Lieutenant John Westley Wright and two Frenchmen, friends of Captain Smith. These enterprising men had escaped from the Temple prison in Paris and had made their way overland to Rouen, where they had stolen the fishing boat and put to sea in the hopes of finding patrolling British ships. As soon as he found out who the people off the fishing boat were, Captain Wooley ordered HMS Argo to take them straight back to the UK, where they arrived safely on 6th May. With the loss of Captain Smith, HMS Diamond in April 1796 when Captain Thomas le Marchant Gosselin arrived to take command. He was an experienced commander whose previous appointment had been as Captain in the 74 gun third rate ship of the line HMS Brunswick. On 6th may 1796, HMS Diamond, in company with the 16 gun ship-sloop HMS Rattler, captured the French privateer Le Pichegru of ten guns off Cherbourg. In December 1796, Captain Gosselin was appointed to command HMS Syren, mentioned earlier in this story and was replaced by Captain Sir Richard Strachan, also encountered earlier. On 24th December, HMS Diamond captured the French privateer L'Esperance off Alderney. On 31st December, she took the 14 gun French privateer brig L'Amaranthe, also off Alderney . On 7th April 1797, HMS Diamond, in company with the 18pdr armed 38 gun frigate HMS Hydra, was patrolling near the St Marcouf Islands when they sighted a force of 33 flat-bottomed gunboats and a number of heavily armed gun-brigs, which had been sent from Le Havre to capture the islands. At 16:00, the French force anchored in a line off the islands and at 17:30, the two British frigates opened fire on them. While attempting to wear ship (to change tack by passing the ship's stern through the eye of the wind), HMS Diamond ran aground on a sand-bank. Despite being stuck fast, the ship continued firing until 20:30, when darkness forced her to cease fire. The enemy also stopped firing and soon after midnight HMS Diamond's crew, assisted by men from HMS Hydra succeeded in getting the ship off the sand-bank. At 06:00, the French weighed anchor and headed west, anchoring again off the town of Bernie. The two British frigates followed outo f range, observing the enemy and were joined by the 50 gun two-decker HMS Adamant. Observing the powerful two-decker joining the two British frigates, the French commander headed east back towards the Caen River and pursued by the three British ships and exchanging broadside fire on the way, teh French anchored again under the shore batteries protecting Le Havre, at which point all three British ships broke off the action and headed out to sea. The French were to make another two attempts to take the St Marcouf Islands, all of which were driven off. On 27th April 1797, HMS Diamond captured a French privateer cutter, also called L'Esperance, off Le Havre. Captain Strachan remained in command of HMS Diamond until April 1799, when he was appointed to command the 74 gun third rate ship of the line HMS Captain. He was replaced in command by Captain Edward Griffith. Captain Strachan went on to achieve fame when he commanded a squadron of British ships of the line which intercepted and defeated a squadron of French survivors from the Battle of Trafalgar in the Battle of Cape Ortegal, also known as Strachan's Action on 4th November 1805. Captain Griffith was an experienced combat commander whose previous appointment had been in HMS Niger, mentioned earlier in this story. Prior to that, he had commanded the 98 gun second rate ship of the line HMS London and whilst commanding that mighty ship, had participated in the Battle of Ile Groix in the fleet under Vice-Admiral Sir Alexander Hood, the Lord Bridport, on 23rd June 1795. On 24th April, HMS Diamond left Portsmouth in company with the East India convoy, escorting it as far as Madiera. On the way, she captured a large Spanish ship laden with Brandy which was sent into Portsmouth with a prize crew. On the night of 20th August 1800, HMS Diamond's men participated in a raid on the Spanish port of Corunna, where they cut out the brand new Spanish corvette Neptuno of 20 guns, a gunboat mounting a sigle 24pdr long gun and a merchant ship without suffering a single casualty. Captain Griffith remained in command of HMS Diamond until June 1802, when he was appointed to command the 74 gun third rate ship of the line HMS Dragon. He was replaced by Captain Thomas Elphinstone. His previous appointment had been in the ex-Dutch 54 gun ship HMS Alkmaar. The French Revolutionary War ended on 25th March 1802 and despite the end of the war, HMS Diamond remained in commission and continued with her duties of patrolling the English Channel, the Western Approaches and the Bay of Biscay. On 18th May 1803, the Napoleonic War began. HMS Diamond remained with the Channel Fleet until she paid off into the Ordinary at Sheerness in 1810. The reason was that she was never designed for a long service career and 16 years of being at sea in all conditions without a break had taken it's toll on the frigate's hull. Worn out and not worth the time and expense of a major repair, HMS Diamond was broken up at Sheerness during June of 1812.